Season's Greetings! The spirit of the holidays are here. 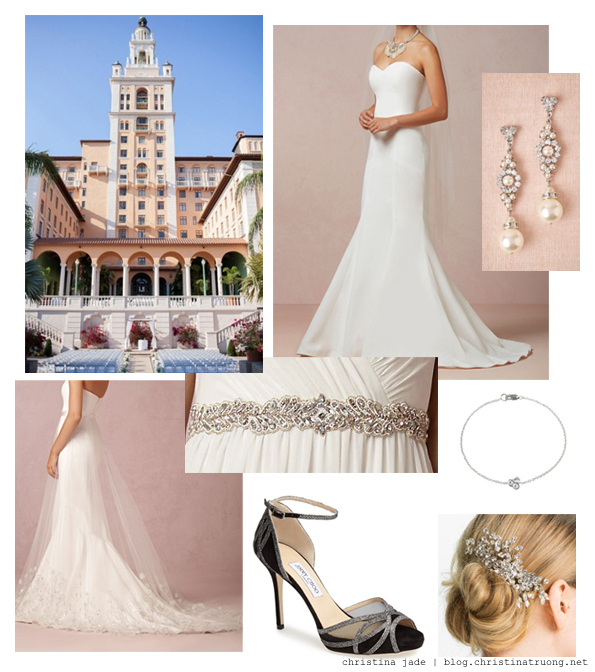 Whether you're staying cozy by the fireplace or out to a festive event, there is no better time to dress up then now. Check out the outfits I selected from some of my favourite stores and let me know what's your favourite item or look. Stay fashionable! Cheers! The Sonia Kashuk Pearlescence Long Wear Crème Shadow is a luxe, long-wearing crème metallic shadow that delivers a gilded look and brighter, more youthful-looking eyes. 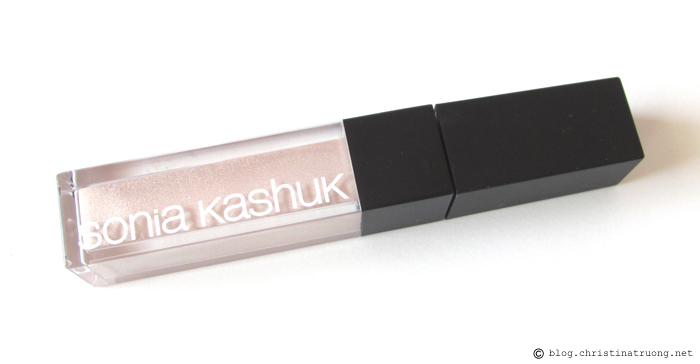 The weightless formula glides evenly with a wand applicator and last for up to 14 hours. Sesame, neem, and Indian senna seed oil offers restoring, anti-inflammatory, and moisturizing properties while light diffusing properties in the pigments gives a smoother finish. Dream of a dream. An ordinary girl could dream of going into a lab and creating the scent of her dreams. Until that day comes, I am glad there are hundreds upon hundreds of perfume selections out in the market. Over the course of my lifetime, thus far, I have stumbled upon a handful of fragrances and only met a few I didn't like. I can go ahead and throw in my entire list of favourites but I'll save that for another day. For now, I'll introduce you to my top 5 favourites, some have a significant meaning while others are my true signature scent. As the temperature slowly starts to drop, chapped lips are upon us. Dried, chapped lips are never a good look. I struggle with chapped lips, so I'm always on the search for the best of the best. I have bought and tested a handful of lip balms, some based on consumer hype and others by curiosity. By now, I have a solid list of what I consider the holy grail of lips balms, and best of all, they are all under $10! Check out my all time favourites and hopefully this helps get you through the blistery months ahead. The holidays are just around the corner. To celebrate the upcoming holiday season and the launch of their innovative shoe line, Alterre is giving one lucky lady a starter kit. Sewing in general can be a difficult task for many. And although I may know the basics, such as repairing a rip or stitching up a button, when it comes to hemming, I rather take it to the professionals. But sewing any of these tasks can be time consuming. Whether your tailor is closed for the day or a button fell off as soon as you walk out the door, you need a quick fix ASAP. Fret not, introducing Scotch Essentials: a line of no-sew wardrobe quick-fixes designed to help easily deal with lost buttons, unraveling hems, and so much more! I was so excited when I got a hold of these wonders to try. I had a few sewing projects that I wanted to conquer and with the Scotch Essentials Brand, I was able to finish these tasks and share you my thoughts. It's the time of year where many will dress up in cute, funny, spooky, creative costumes. But if dressing up isn't your forte why not dress up your nails instead? Whether each nail is a different design or simply uniformed with the rest, check out some Halloween inspired nail ideas below, start painting, and have fun! Have you ever wanted dramatic lashes. Tired of applying falsies Every Single Time? Or don't have the time or money for eyelash extensions? Well, I come with great news that will change your lash game. COVERGIRL, the one that brought me to my favourite mascara base: the Clump Crusher, has now given me more reasons to consider them as one of my favourite mascara brands. Introducing COVERGIRL The Super Sizer Mascara by LashBlast. This beauty brings the wow-factor of false lashes but without the unnatural and irritation that some false lashes give. 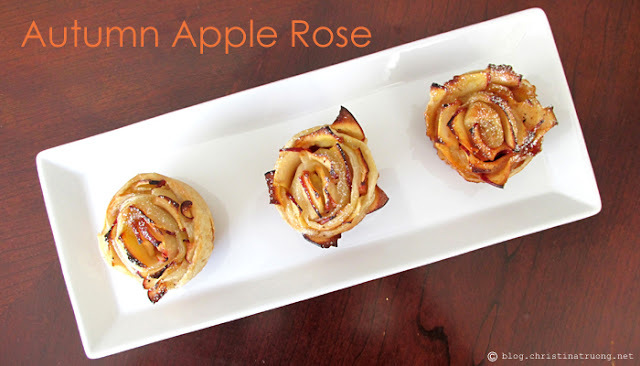 Not only is it apple and pumpkin season, it's also the start of BAKING season! 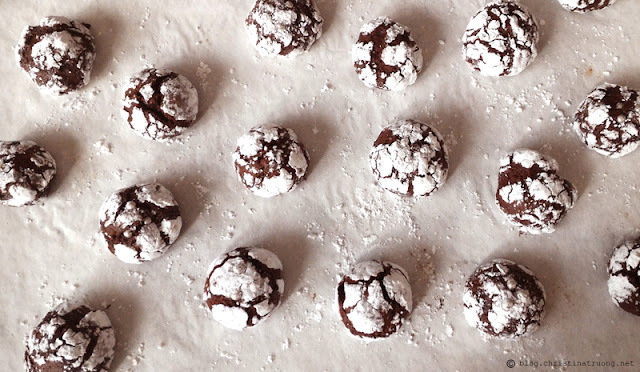 These delicious treats are not just pretty to look at but they're simple to make. They are a perfect go-to Thanksgiving treat, especially if you're in a time crunch, or want the house to smell like baked goods without the effort! Apple roses are probably one of the easiest recipes that will for sure impress your guests! A good friend of mine (Hey, E!) made these a few months ago and I was certain it took her a lot of practice, patience, and professionalism to make. She sent over the recipe and I definitely had a "duh!" moment - I have made paper roses in elementary school using a similar method. 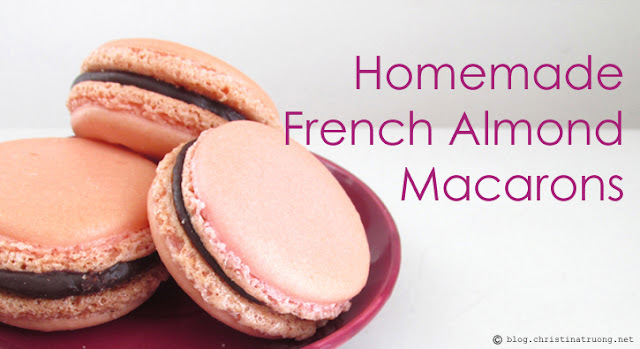 Turns out they are quick, easy and foolproof (and in my books, there is no one fixed recipe). Let's get started! Made in Canada. Recyclable. Eco-Friendly. Canada's Award-Winning Naturally Alkaline Lithia Water. Happy Water is sourced from two ancient Canadian mountain springs. 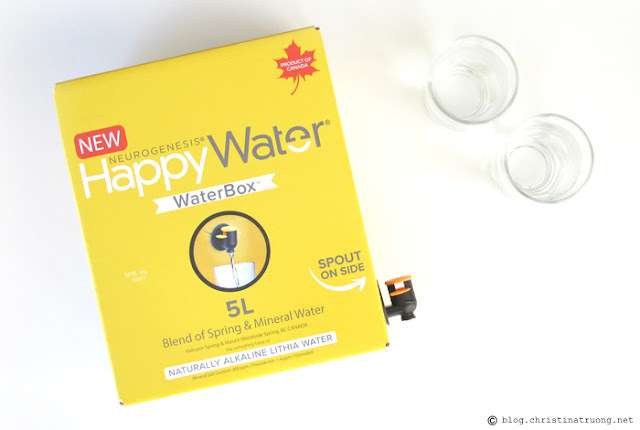 Free of additives and chemicals, their blend of spring and mineral water contains naturally occurring lithia, calcium, magnesium, potassium and sodium. The rare combination of these minerals creates Happy Water's naturally alkaline state, linking to many health benefits and optimum hydration. Their mission is to provide consumers everywhere with the opportunity to experience the benefits of this unique, naturally functional water. The beginning of my favourite time of the year is here! Coats, capes, scarves, booties, floppy wool hats, dark bold colours. I cannot contain my excitement and am going all out with an easy day-night Fall makeup that I love and will go well all throughout the season (and for the remainder of the year). Aren't these high-quality, hand-knit cotton dolls beautifully adorable? It gets better. For ever doll purchased, cuddle+kind will provide 10 meals to hungry children around the world through their partners, World Food Program USA and Children's Hunger Fund. Interested to know how to get your hands on a cuddle+kind doll? Time to break the rules and make a (fashion) statement. Wearing white after Labour Day. September is the best time to transition your wardrobe from summer to fall. I'm not going to lie, I love my crop tops and maxi skirt combo but I'm anticipating for the day I can throw on my cape and booties. Mixing pieces from both seasons will put you at ease when Autumn arrives - saying goodbye to Summer. A round blue tin box. That can only mean one thing - Butter Cookies! Your excitement goes through the roof but only to have them collapse when you see a bunch of sewing supplies. Now, sewing supplies are great to fix a button or two but butter cookies are better! There is no need to be disappointed ever again. 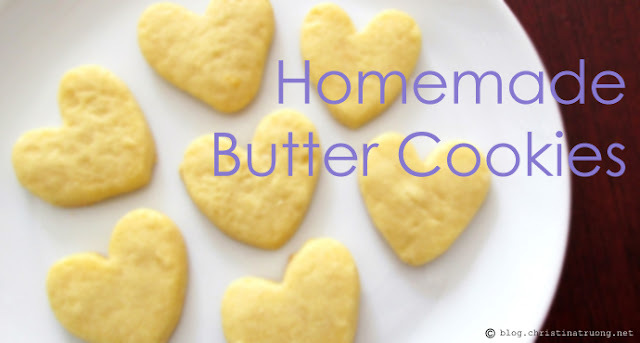 These homemade butter cookies are not only easy to bake (and with just a few ingredients), they will taste just like the ones from the iconic blue tin - only fresher, maybe better, and completely personalized! Bare nails and no time for a manicure? I have shared a few solutions for those who need a quick fix and one involved my favourite, the KISS 2 Looks Nail Dress. Check it out! In this case, my friends are my beloved shoes and the enemies are... The Blisters! Picture this: new shoes, you love them, looks great with every outfit in your closet, best of all they seem to provide all day comfort. Take them out for a walk to brunch and a shopping trip with your friends and suddenly you feel a pain on the back of your foot. Oh blisters! They really know how to hurt you and the ones you love. Good news, that's about to end for once and for all! Say hello to Polysporin Blister Treatment -- your new best friend! Benefits include: relieve pain immediately, heal blisters quickly, protect and cushion against rubbing. Sounds too good to be true but trust me when I say you will love it! Smoothies are a staple, especially during the summer time. Unfortunately, summer will soon enough come to an end (well, until next year). But before it does, let us cheers to a wonderful season it has been with a few last sips of refreshing summer deliciousness! 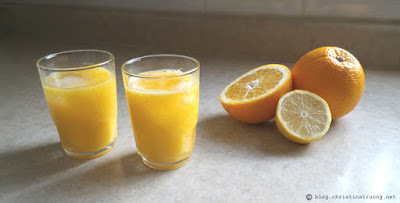 Last year I shared 5 summer smoothie recipes and they were a hit! I am excited to share with you 5 new recipes and I promise you they are just as yummy! Ready - Set - Blend! How are you beating the heat this summer? 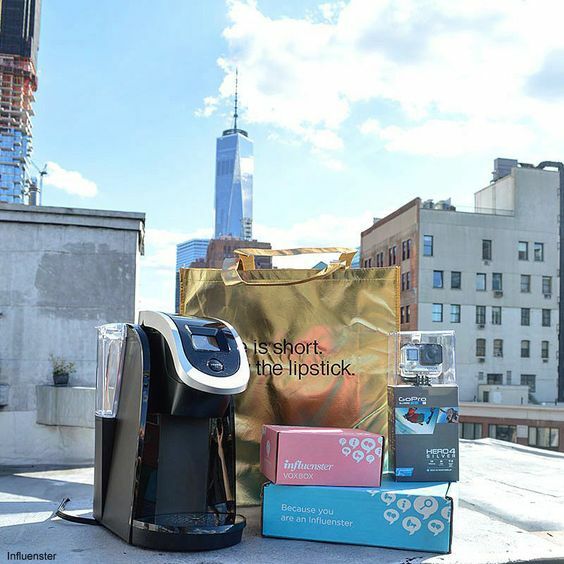 Influenster is doing so by giving away HUNDREDS of cool prizes! Now for the exciting part. Want to win some goodies? Of course you do! Deck out and celebrate Canada's 148th Birthday on July 1 with these inspired looks. 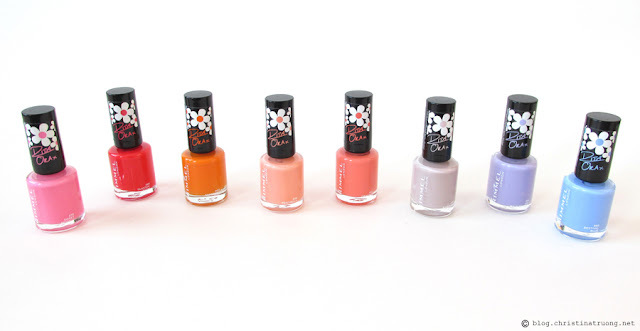 Below are swatches of New York Color Expert Last Lip Color. Be sure to check out the full review here. 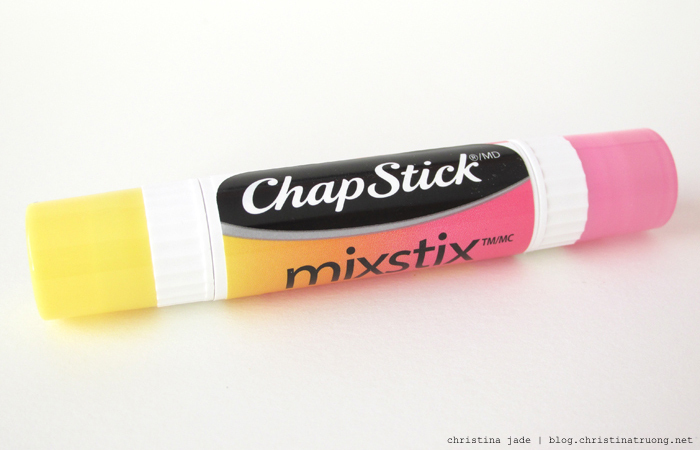 Chapstick has come a long way from what I remember. 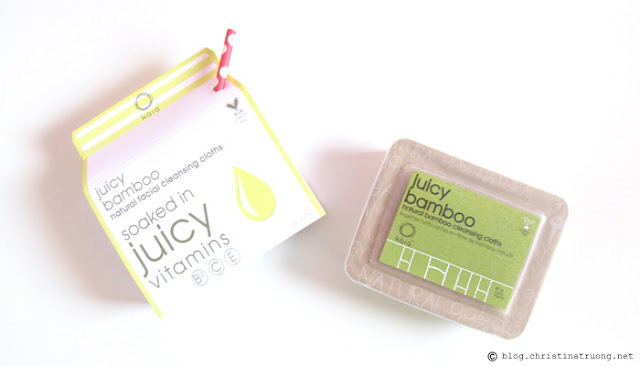 Their products now expand to include moisturization, hydration, SPF and new flavours. Don't fret, the classics are still around. Original, cherry, strawberry, mint. They are all there. I remember my childhood favourites were strawberry and cherry. Speaking of flavours. Here's something new: MixStix. 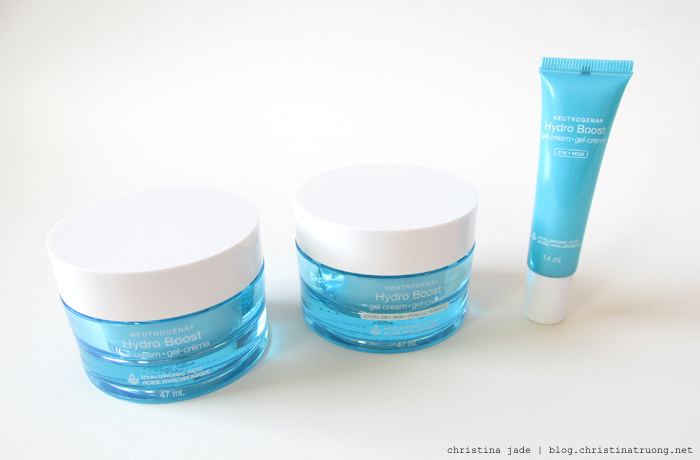 An ultra-hydrating, two-sided lip balm that provides 8 hours of moisturization. Available in Lemon Berry Sorbet (Lemon and Raspberry), Green Apple Caramel (Green Apple and Caramel) and Strawberry Banana Smoothie (Strawberry and Banana). 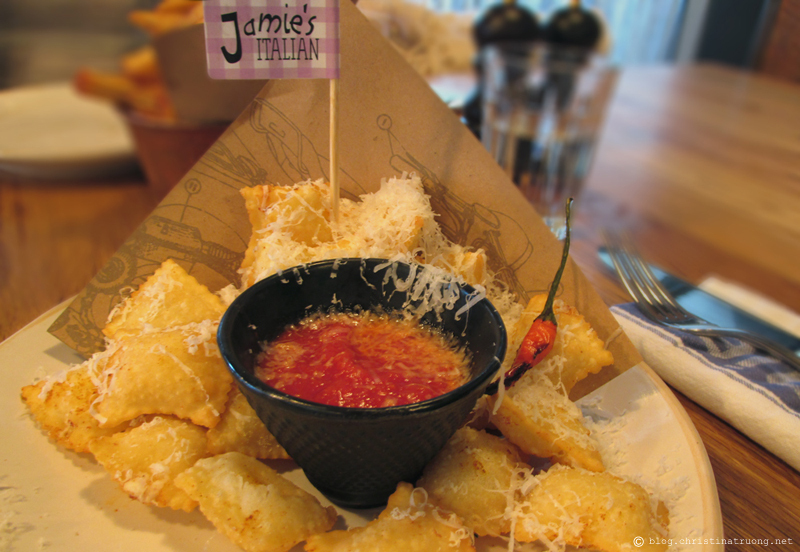 Use each flavour individually or mix 'em together to create a fun third flavour. One of Korea's latest beauty trend right now, the cushion foundation, is a liquid foundation soaked into a cushion and uses a sponge to dispense and apply the product. All this while neatly packed inside a compact with a mirror. Lancôme decided to bring Korea's hottest beauty trend to North America. 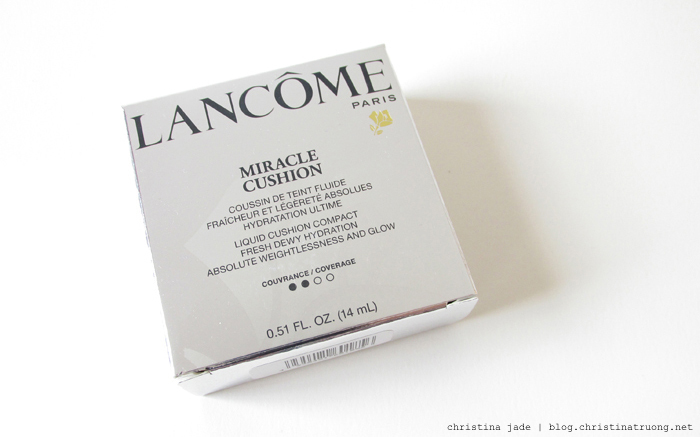 Introducing Lancôme's Miracle Cushion. The first Lancôme cushion with a remarkable formula and infused with fluid make-up to create a fresh-faced healthy glow. If you enjoy the feel of a BB cream but want coverage like a foundation the Miracle Cushion is possibly your new best friend. Lancôme's Miracle Cushion provides a fresh glow, lasting hydration, weightless buildable coverage, and practicality. 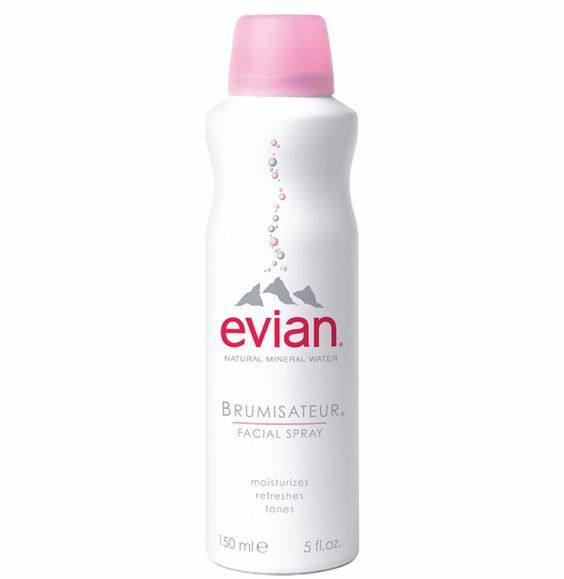 Goodbye dry skin, hello moisturizing hydration! Neutrogena has come out with a new skincare line in which I have heard many say is their new favourite moisturizer. It seemed too good to be true. Seeing the product and results all across social media, I had to get my hands on it and put it to the test. And I must say, I joined the bandwagon and calling it my holy grail moisturizer! Moisture your locks with Turkish fig essences and 100% hand-harvested cassia. Herbal Essences has come out with a new product line. The Herbal Essences Wild Naturals features three collections to choose from to fit your hair needs: illuminating, detoxifying, and rejuvenating. Illuminating provides shine, reveals hair's natural radiance and a scent of seaberry. Detoxifying is a lightweight collection that softens hair for naturally beautiful, clean hair all while having the scent of lemon basil. Rejuvenating deeply nurtures, moisturizes and restores hair's vitality and a fresh scent of Turkish figs. All product scents are paired with cassia flower. Who doesn't love a delicious plate of nachos or delivery pizza? But sometimes those tortilla chips can be overly salty or the pizza is not towards your liking. Homemade is the way to go, but there are times when you simply don't have the time. An alternative? Tortillas! Hear me out. Not only is it quick and easy, you also know what's in it and have the freedom to control what gets added. They are nice, light and filling. Perfect for game nights and party pleasers as snacks and appetizers. It's also a great way to clear out any leftover ingredients in the fridge. So whether you buy packaged tortillas in-stores or make them from scratch. Let's get started! Finding the right foundation shade is one thing. Knowing if it works is another. The Clarins Everlasting Foundation + SPF 15 sounded too good to be true. 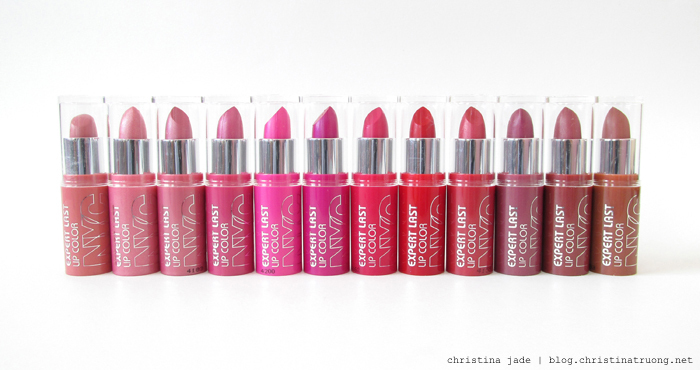 Long wear, full coverage, comfortable matte finish. But it's true, it was really good! Available in 10 shades, you are bound to find your shade. In an older post, I shared "What's In My (Everyday) Makeup Bag" but when it comes to special occasions, my makeup bag is slightly different. I don't bring with me a hundred and one items. In fact, I bring as little as possible, because the last thing I want to think about is reapplying my makeup the entire night, let alone stuffing a case full of beauty products in a pint size clutch. Spring is finally here! The thought of spring comes bright bold colours to put the snowy days behind and pastels to remind us summer is coming (Yay!). Though it's too soon to throw on those short-shorts, we can definitely ditch the winter heavy wear! Well, sort of. Mornings are warm while evenings can be chilly. That's why I like to incorporate a mix of winter-to-spring-to-summer in my outfits, especially during a night on the town.